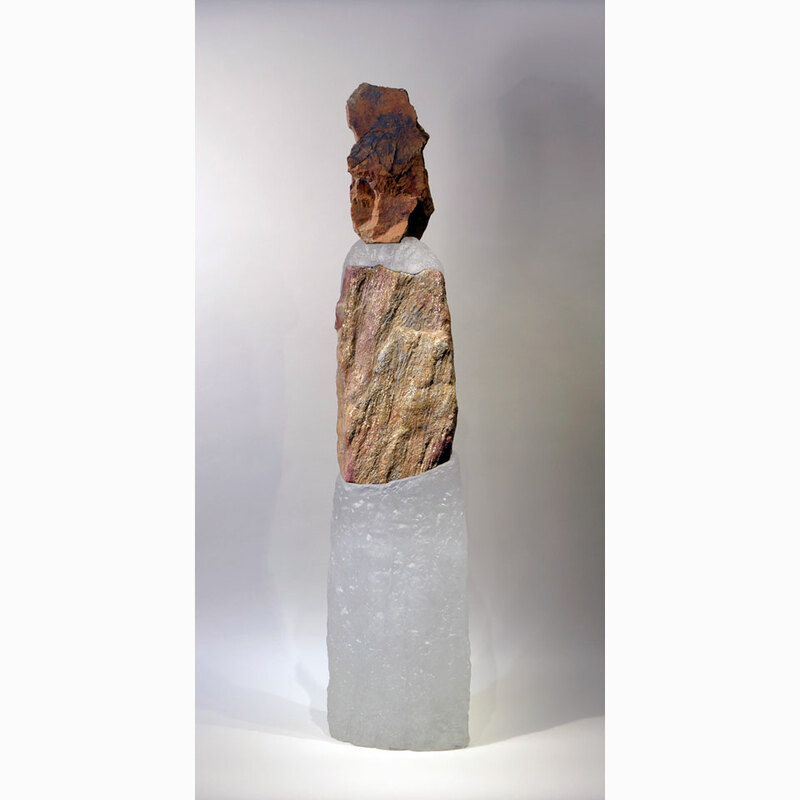 In my work, I create figures from sequences of stone and glass. The figures rise up from the external landscape where I live, a place filled with remnants of stonewalls and glacial erratics. 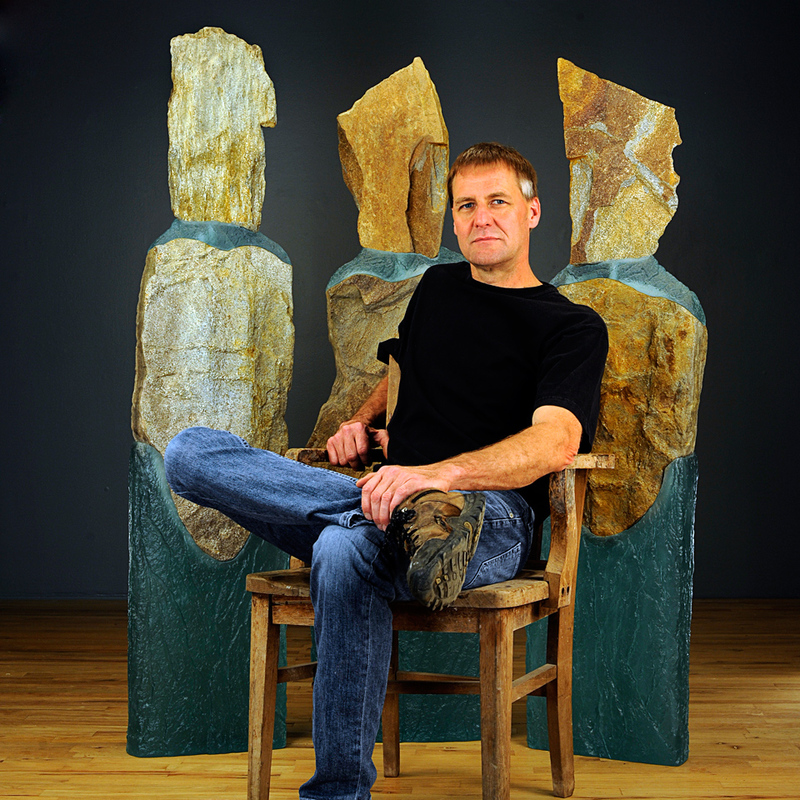 I gather stones from quarry rubble and from New Hampshire neighbors who allow me to choose stone from their land. 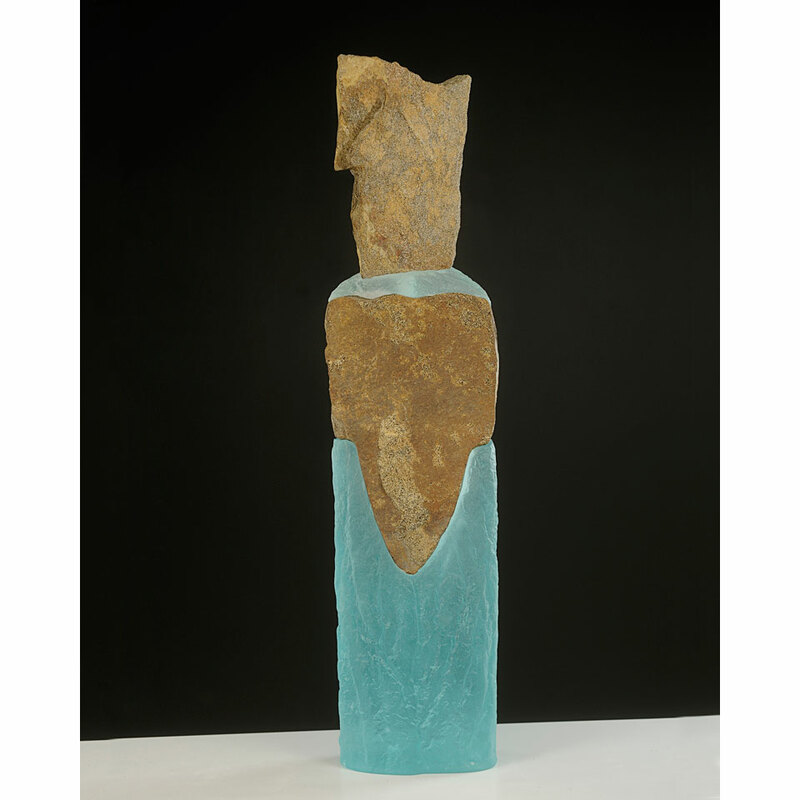 The glass portions of the sculpture are combined with these found stones suggesting human figures. 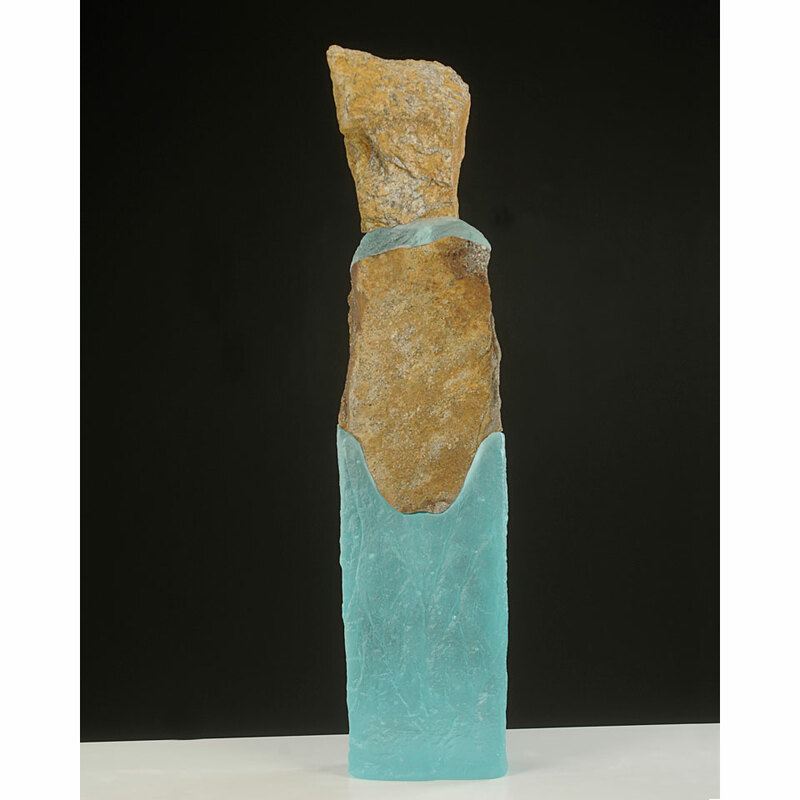 I try to choose rocks that evoke the feeling and gesture of human forms, specifically torsos and heads. I will look for a flat rock with a curved edge and a tapering form to suggest torsos or the triangulation of a stone with a cleft that may hint of a head. 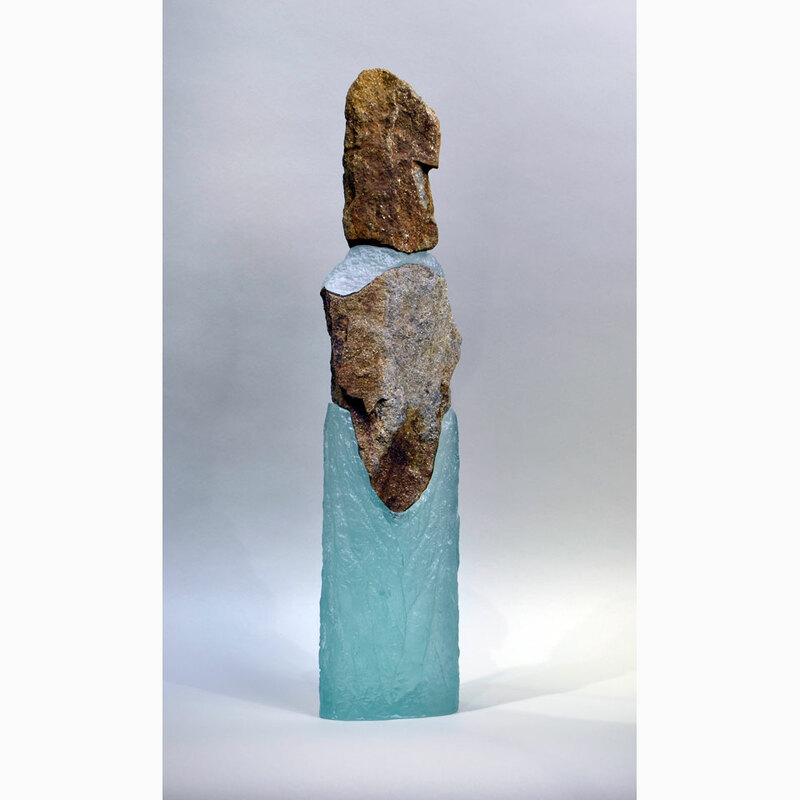 I do very little to the stones in the process of making sculptures, perhaps chiseling or cutting a bit, instead I seek to emphasize qualities already naturally present. 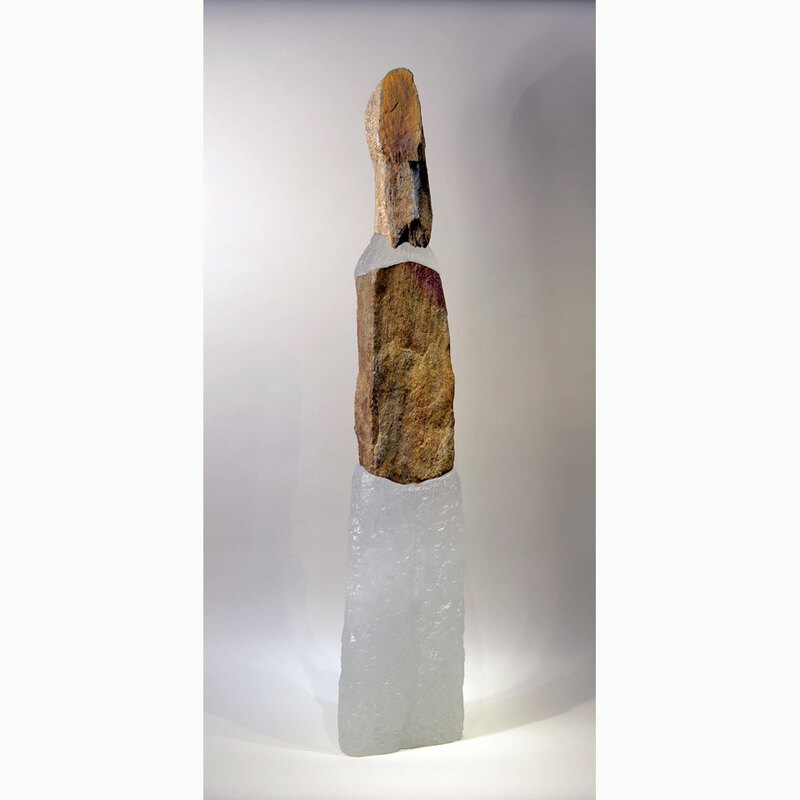 Kiln-cast glass around the stones allows for qualities of light and what I hope a spiritual element to pass through the forms. By marrying fire and materials of the earth with a modern process of casting glass, there is a fusion of composition and chance. 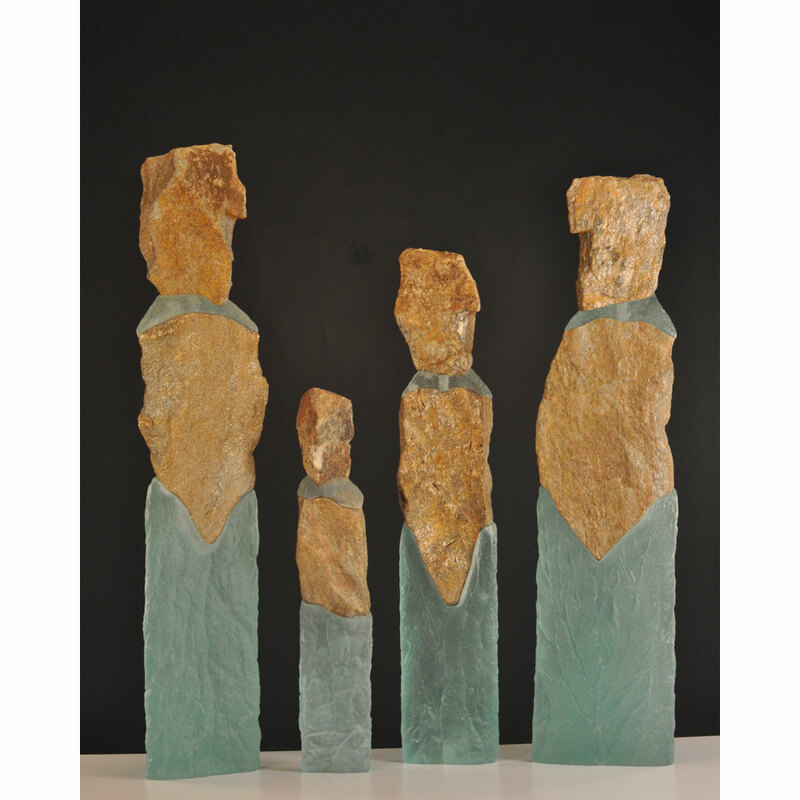 The figures range in scale from larger-than-life to those under twelve inches. Given the range of scale and opportunity to group figures together, there are layers of both interpersonal drama, gender, and generational concerns. 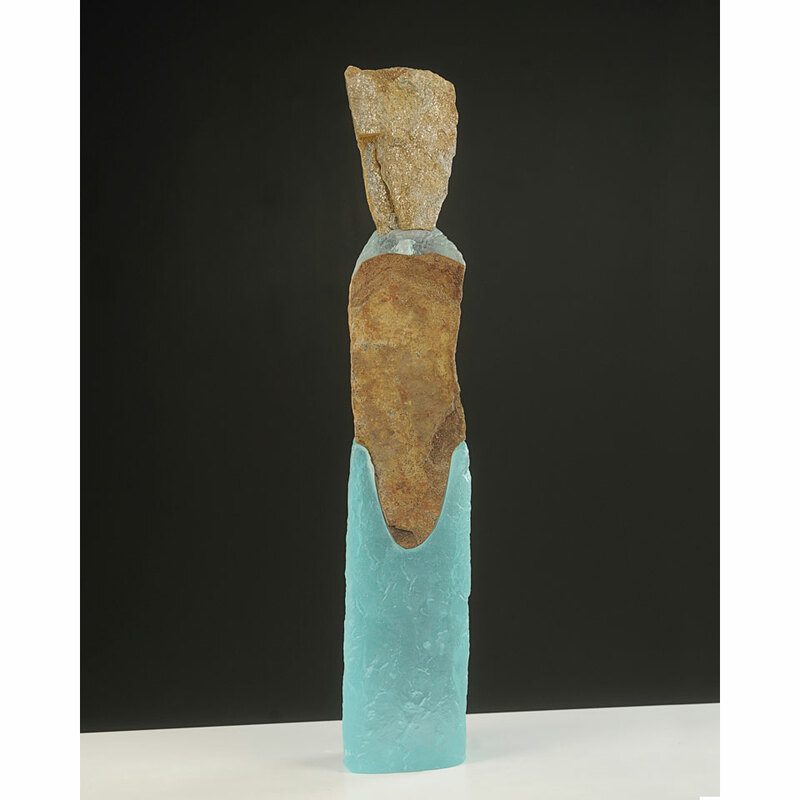 The combination of materials expresses both the fragility and enduring qualities of humanity. I believe the figures are universal in that they speak directly to what is elemental rather than superficial about us and our relationships to others. These qualities of sprit are nearly indefinable, of what we share in our immediate lives as well as through a common human history but it is what I want to capture in some small measure. 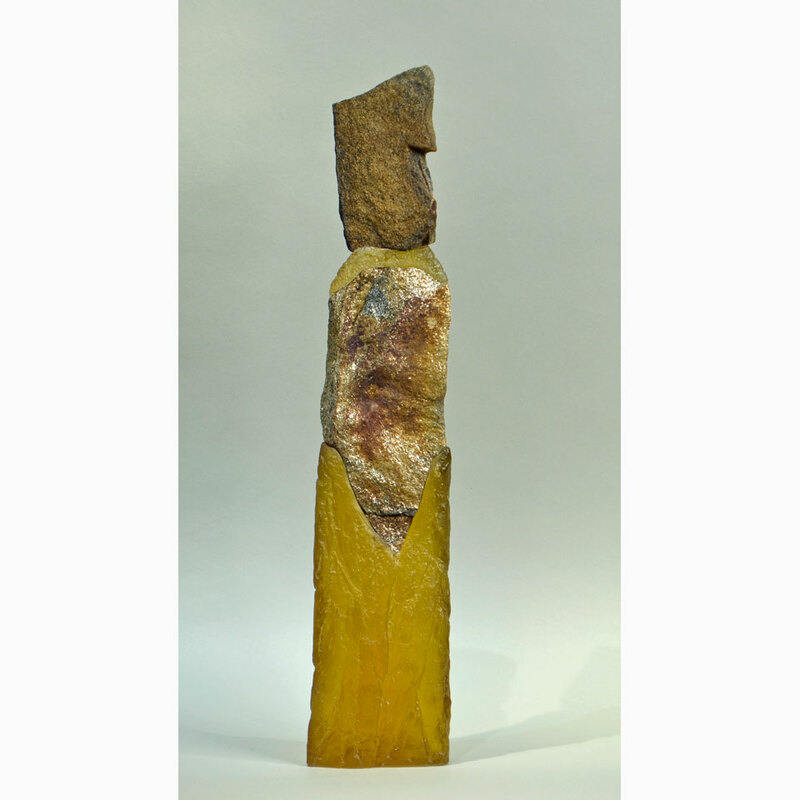 Recently I have been incorporating my figures into wall mounted sculptures of stone, wood and cast bronze tree branches. 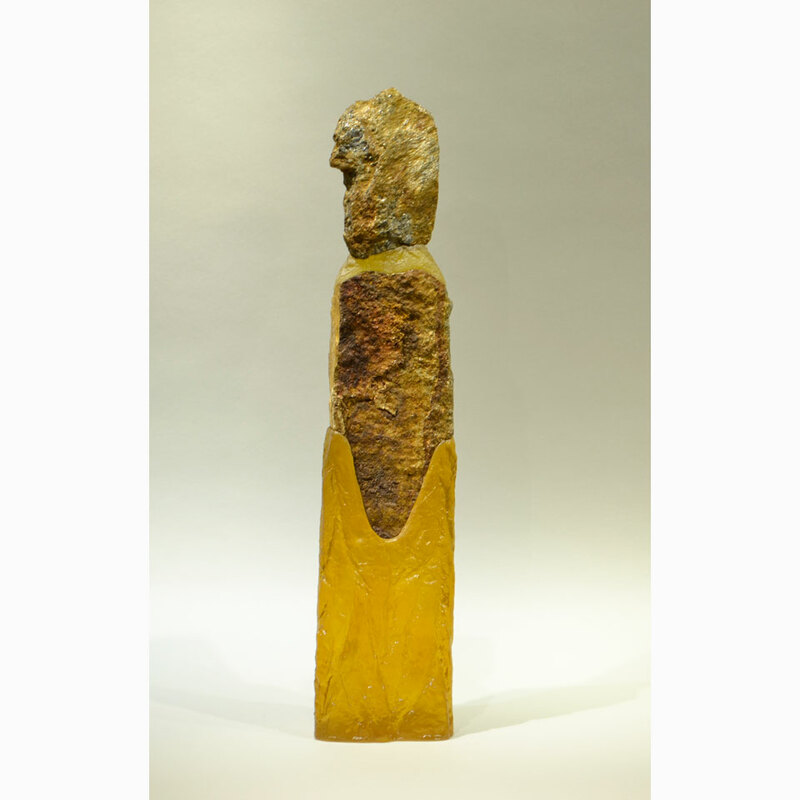 The wood and stone panels are suggestive of the human body or torsos. 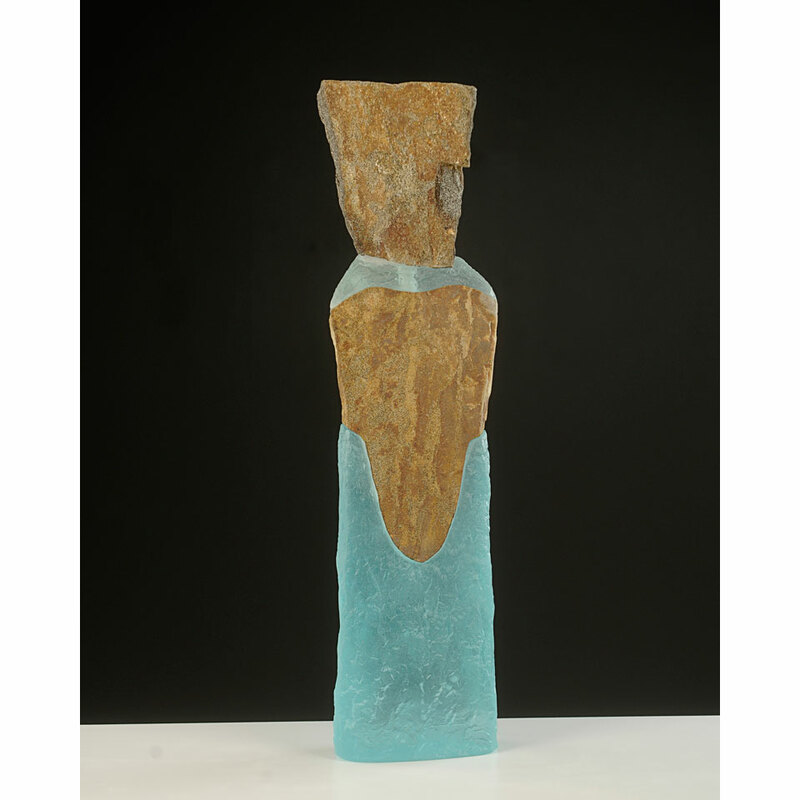 With the layering of my figures into these sculptures, I envision the essence of birth, inner growth and the inner self. 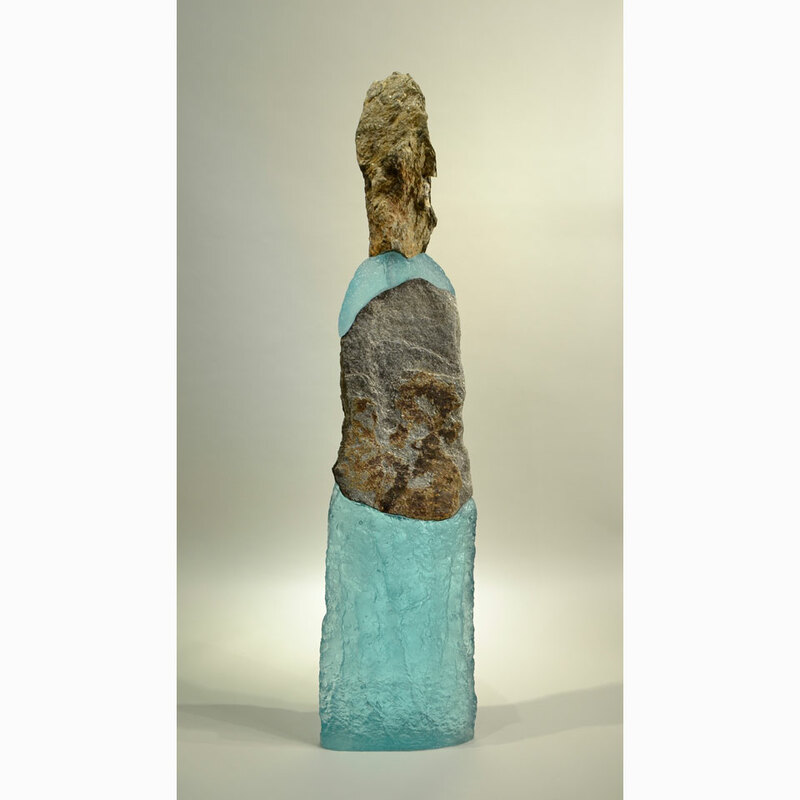 My newest pieces are the exploration between nature and mankind’s reliance on the environment. 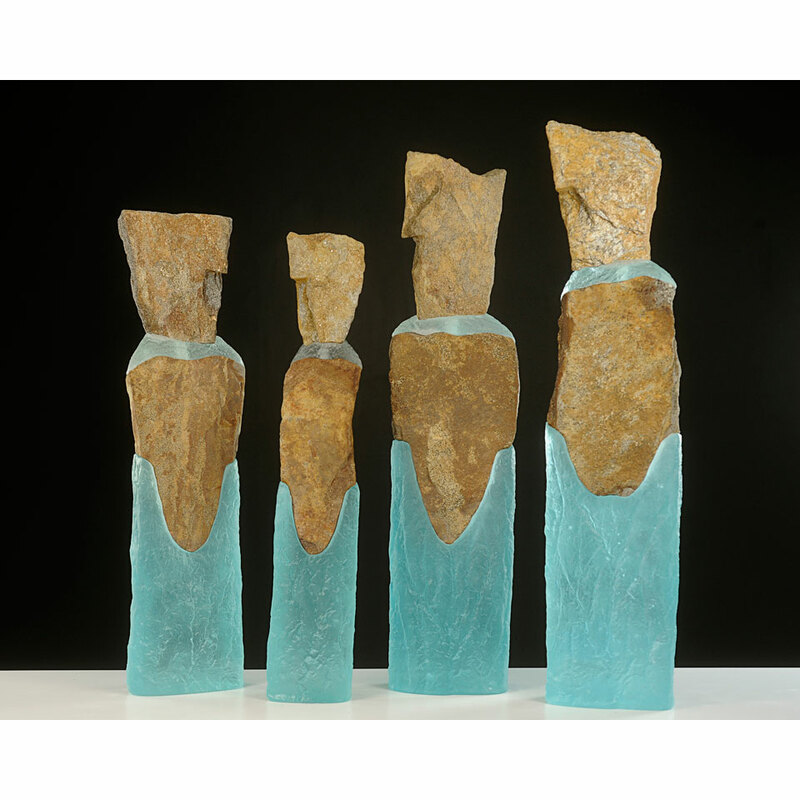 By casting tree branches in bronze or glass my figures seem to commingle and intersect growing out of these living branches, while emerging off the wall. Making my figures true couples merged in an eternal union, ready to bloom in life, through the dynamics of human relationships, birth, and nature. I hope they suggest a family lineage rooted in our relationship to the natural world. 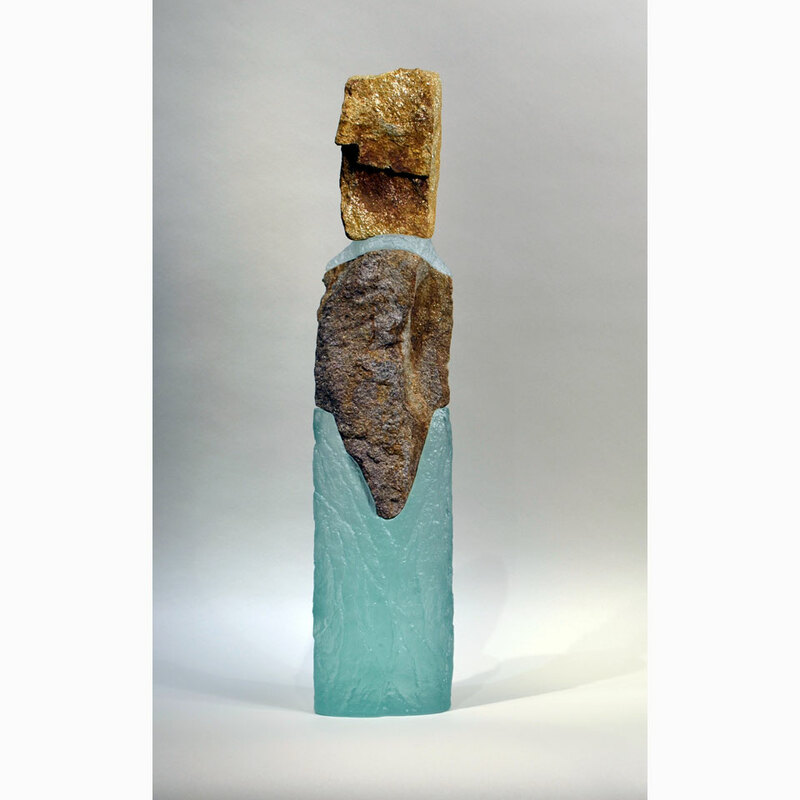 I have discovered by varying materials, artistic processes, and a belief in serendipity in seeing forms in stones that these intangibles give me the creative impetus to find expression from one vision to the next in my studio.